What San Diego Companies Need Local SEO? Request a quotation or some advice on your website by filling out the form below. Can’t Wait? Call Us: 619-880-0736 Now! 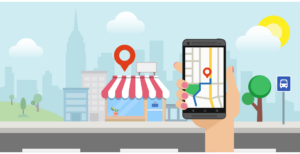 For small and medium businesses looking to increase foot traffic to their physical store or office, Local SEO in San Diego is the best way to accomplish their goals. 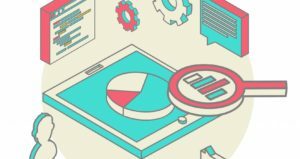 Being on the first page of a local search – either on a desktop / laptop computer OR a mobile phone – for a particular service is super important in today’s high-competition marketplace. The process doesn’t just optimize the site, it also increases the visibility of the business by optimizing business citations or business listings on web directories including Google My Business, Yelp and Yellow Pages. This allows the service or the office to be easily discovered by searchers. Click Here to Download our Free Guide to getting listed on the top Online Directories. Local SEO in San Diego can also make the business a household name and the go-to-place for a service or a product in San Diego. Business name, address and phone numbers are the most sought after information by local searchers making it very important for our websites to be optimized for this process. 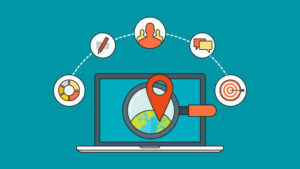 Restaurants, dentists, clothing stores, automobile services, home services providers and lawyers are some of the niches that are the most likely to need Local SEO in San Diego because foot traffic is required to convert searchers into customers. Organic SEO, on the other hand, is the process of getting a site to rank naturally through a combination of on-page and off-page work. Your site should be optimized to address issues in accessibility and content, to name a few. Links should be built via articles and other media to direct users to the pages you want to target, which will help bolster your site’s authority on a national. Organic SEO requires more time to produce results, especially if the keywords chosen are very competitive. Success also requires the possible implementation of many changes to the site in order to fix problems that can hamper search engine optimization. You should also ensure you are listed in the top local directories for San Diego Businesses. Though Organic SEO requires considerably more time to produce results than alternatives like Pay Per Click, once your website’s authority is established, it will appear in the search results at no additional cost. It is also more practical to use Organic SEO when trying to rank an entire site (and not just a page). Online, there are hundreds, if not thousands of opportunities for a business to grow. With the help of Local and Organic SEO, you can improve a website’s ability to rank in the search engine results which increases the chance of getting found by potential customers. Using our own tested methodology, our SEO packages help websites attain first page ranking. The packages include effective on-page optimization and link acquisition achieved through a mix of editorial submissions, guest blog outreach, video postings, and other link-building activities. How to Determine If the Campaign Should Be Under an Organic or Local Package? Organic SEO is ideal for websites that do business online or are competing nationally. Usually these are internet-based businesses that do not have brick-and-mortar stores – things like eCommerce websites. Local SEO in San Diego, on the other hand, works best for any business with an actual geographical location also looking to drive foot traffic to a particular physical address. What are the differences better Organic SEO and Local SEO in San Diego? The choice of doing Organic SEO or Local SEO depends on the nature of the business. If your business is not tied to any location, you would want to go for an Organic SEO campaign. On the other hand, if your business offers products or services in a particular geographical area, Local SEO would be the best choice. Contact Us or Call Us: 619-880-0736 Now!